Yes, that's me asking David Molk some questions during Michigan's media day back in August. 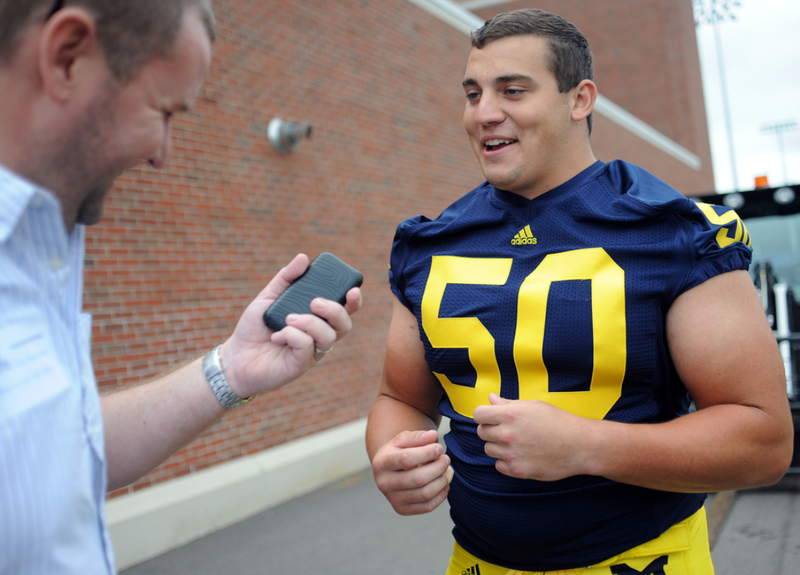 More good stuff from Michigan's vocal leader, offensive lineman David Molk. We loved his presser interview from Monday, and now we love the feature they did of him for this week's Inside Michigan Football. I can tell you from my experience asking him a few questions before the season began at the media day even in August, this guy is just all business. He's as pure and genuine of a football player as you'll find. He just wants to play hard, hit people, and he wants to win. You can't ask for anything more than that. And for those reason's alone, we love David Molk.